Dubai: Dubai Police will fully depend on Artificial Intelligence (AI) in data-analysis services to predict crimes and traffic accidents by 2031, an official said on Monday. Brigadier Khalid Nasser Al Razouqi, director of the Artificial Intelligence Department at Dubai Police, says that the AI strategy of Dubai Police aims to provide all police services and fight crimes in the city. “We are modifying out programmes and projects to reach the future by counting on AI in data analysis service by 2031. Our aim to create an innovative work environment and balance between AI and human resources,” Brigadier Al Razouqi said during his presentation at the 87th Interpol General Assembly in Dubai. Will artificial intelligence be too intrusive? The strategy includes developing service centres by using AI and works together with Smart Police Stations as well as drive-through and walk-in services. “We will use AI to predict crimes and traffic accidents. UAE will be number one in investing in AI in most sectors. Our stations will have robots, driverless vehicles and AI systems,” he said. 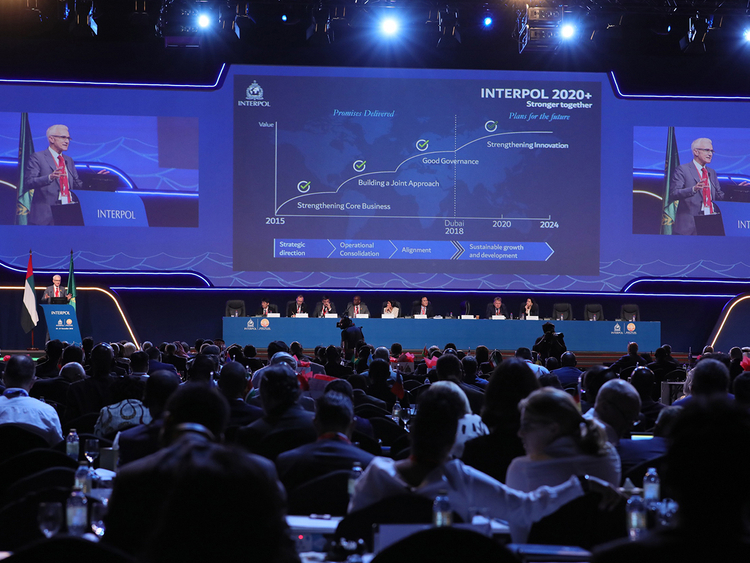 The second day of 87th Interpol General Assembly focused on global crime programmes with nearly 1,300 official representatives from 173 countries, including 85 police chiefs and nearly 40 ministers. Participants discussed the importance of the Interpol’s database, describing it as the heart of their counter-terrorism operations, because every database check has the potential to prevent a suspected terrorist from travelling further. Interpol’s foreign terrorist fighters database holds details of around 43,600 foreign terrorist fighters, making it the world’s largest repository of such information. 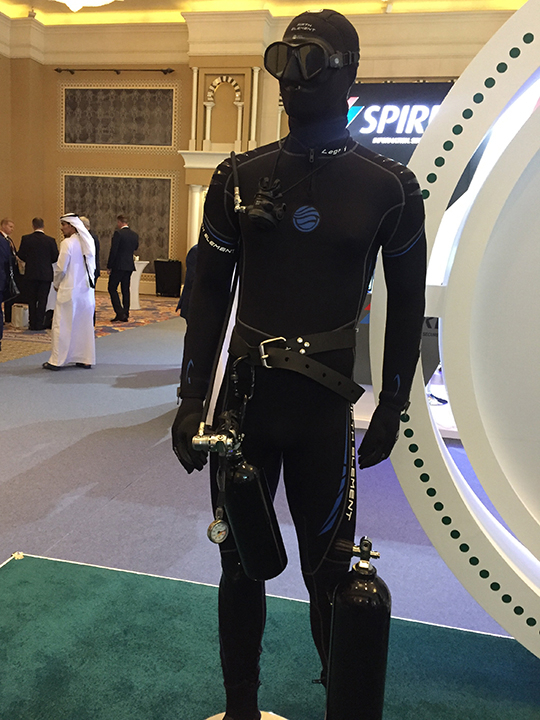 Meanwhile, Dubai police displayed their latest SWAT tactical diving-suit on their platform aside of the general assembly. First Lieutenant Ahmad Mohammad from VIP Protection team at Dubai police, said the suit can be used in swat action on sea and island areas. “The suit weighs 10kg and is lighter than the normal diving-suit by 70 per cent. Divers can go to seven metres deep in the sea and reach their destination faster. The SWAT member can remove the suit easily within seconds,” Lt Mohammad told Gulf News. Dubai police have 70 specialised SWAT members including 30 professional divers. 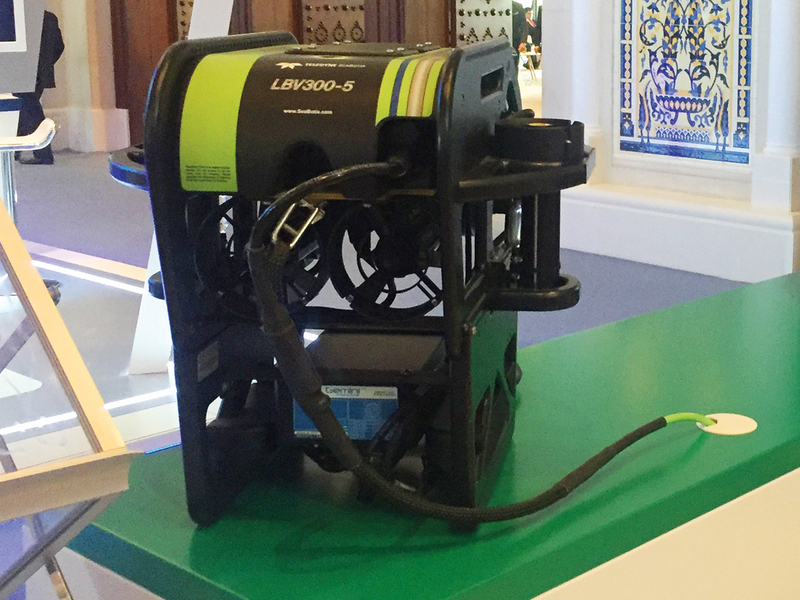 Police presented their latest search and rescue sub called Mini-Rov ‘LBV300-5 underwater’. The new submarine can dive to 300 metres and can be used for search and rescue. The sub is fitted with various grabbers and tools for intervention, with a high-quality camera, light and sonar.